It should be mentioned here, that Pant has been replaced by the seasoned MS Dhoni for the ODI as well as the T20I series against New Zealand and this got Paine all noisy behind the stumps. Australia has made a concerted effort to not get too nasty with their verbals out in the centre and play the game with 'elite honesty' instead. However, this has not stopped their captain Tim Paine from coming up with a few smart gems from behind the stumps. 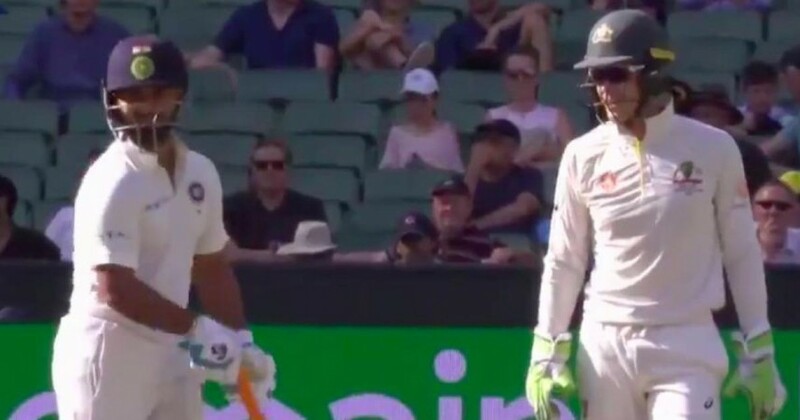 Paine, who is quickly making a name for himself as a master sledger, was at it again, this time directing a list of suggestions towards Rishabh Pant. India suffered a collapse late on day 3 and this brought out Pant, who has not been shy to play his strokes with the bat in the series so far. It should be mentioned here, that Pant has been replaced by the seasoned MS Dhoni for the upcoming ODI as well as the T20I series against New Zealand and this got Paine all noisy behind the stumps. Tell you what, big MS (Dhoni) is back in the one-day squad too, we might get him down to the (Hobart) Hurricanes this bloke, we need a batter," he was caught on the microphone telling Aaron Finch who fielded at short leg. "Fancy that Pant, extend your little Aussie holiday. Beautiful town Hobart too. Get you a nice apartment on the waterfront. Have him over for dinner. Can you babysit? (Can I) take the wife to the movies one night, you can look after the kids" he further added. Interestingly, Pant who is never shy to dish out few volleys of his own did not look too hassled and remained unbeaten at the end of the day. Earlier, Jasprit Bumrah broke the back of the Australian batting lineup with a decisive spell where he picked up 6 wickets. Virat Kohli, despite having the cushion of 292 runs, did not impose the follow on. There is rain forecast for day 4 and day 5 which might impact the result of the Test match.